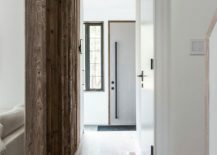 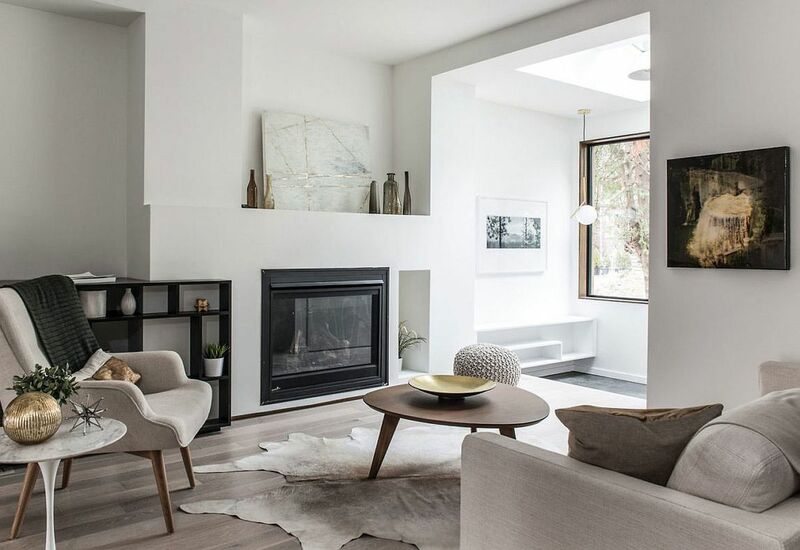 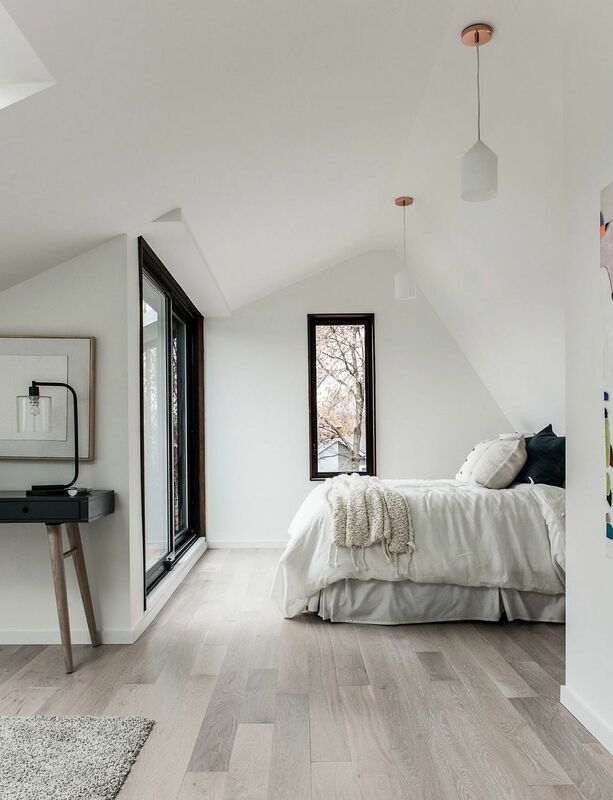 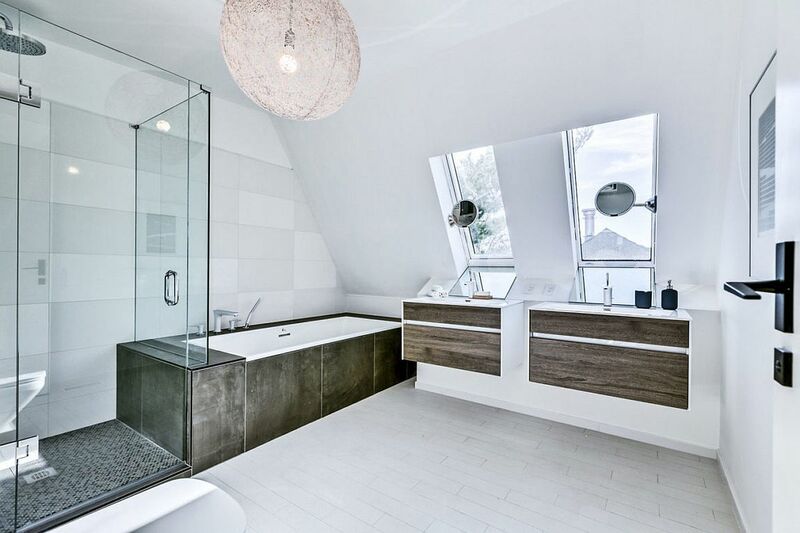 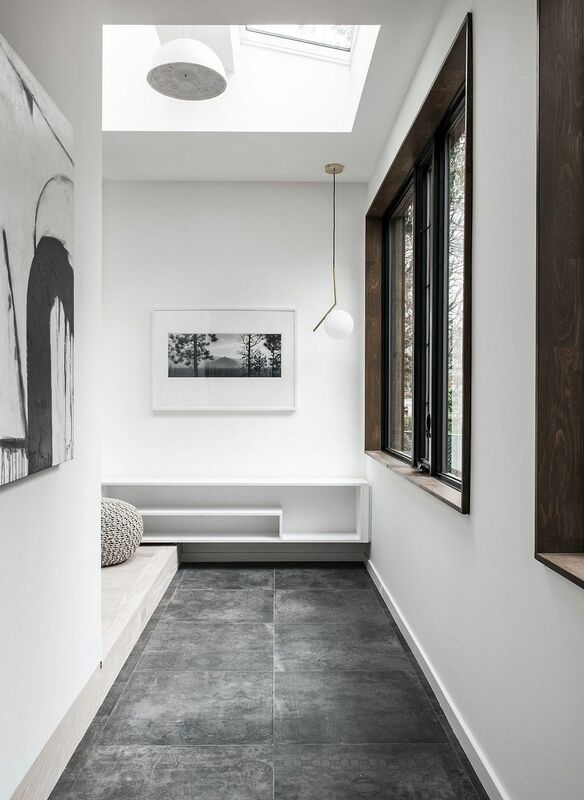 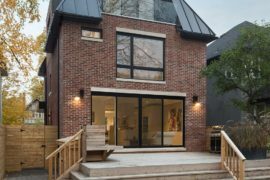 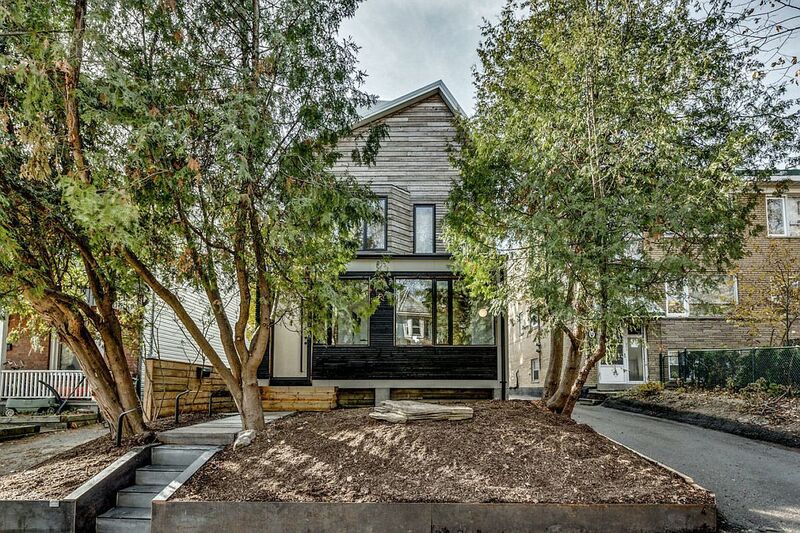 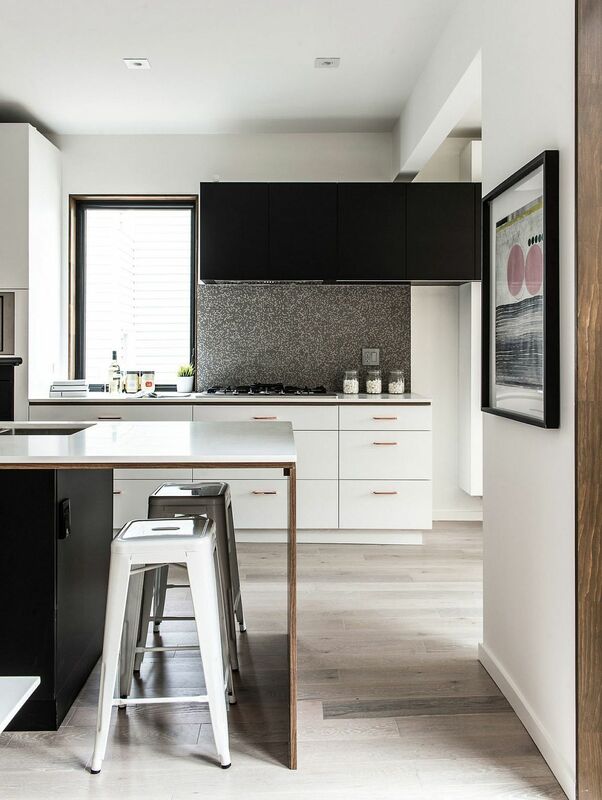 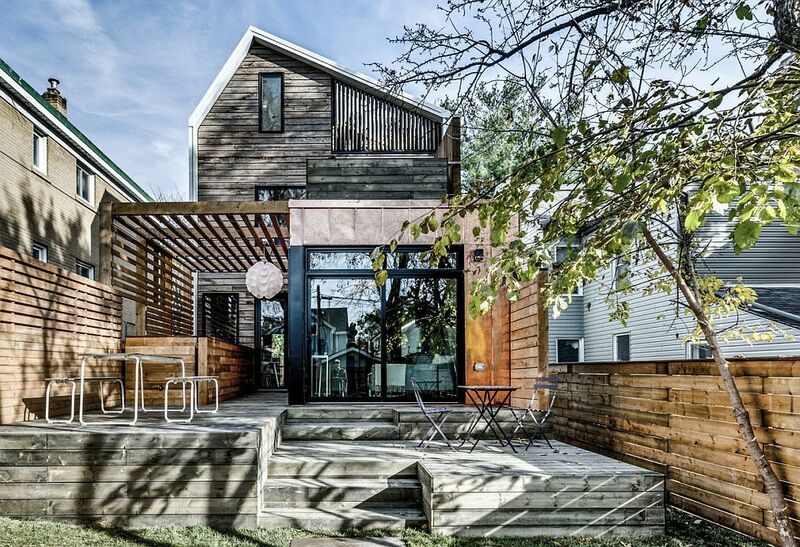 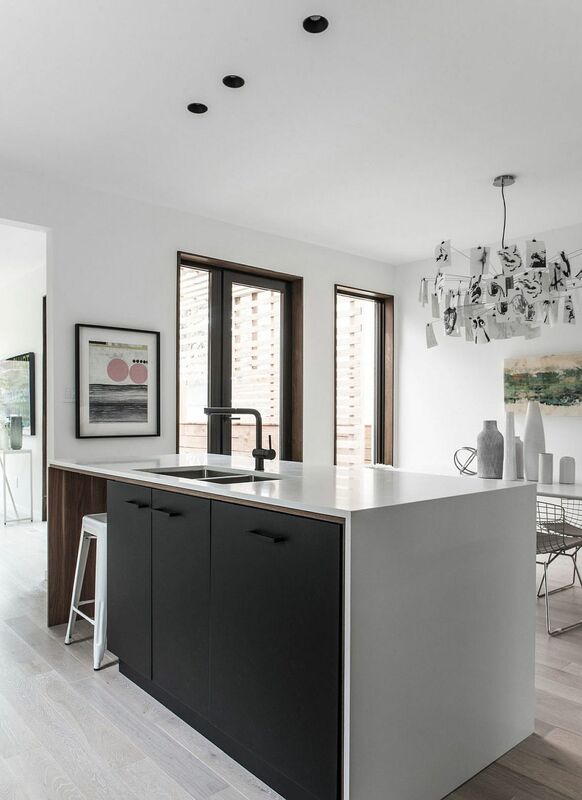 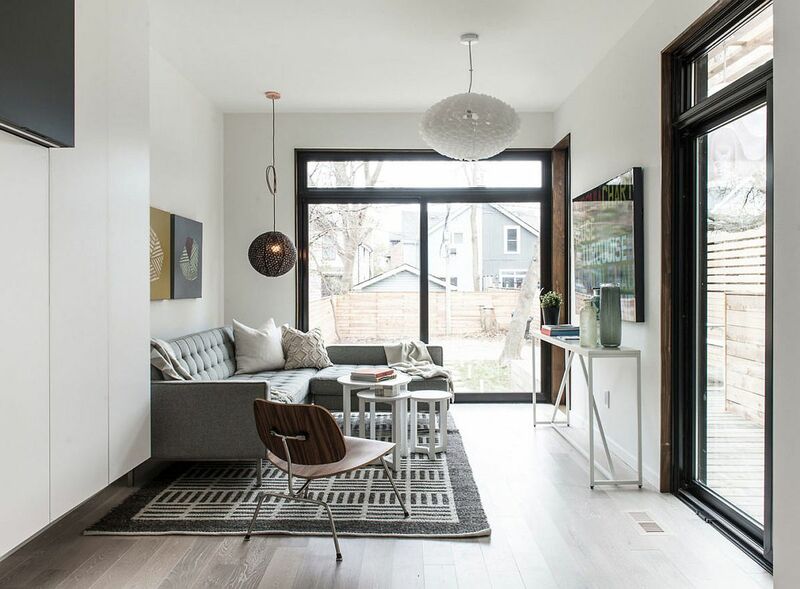 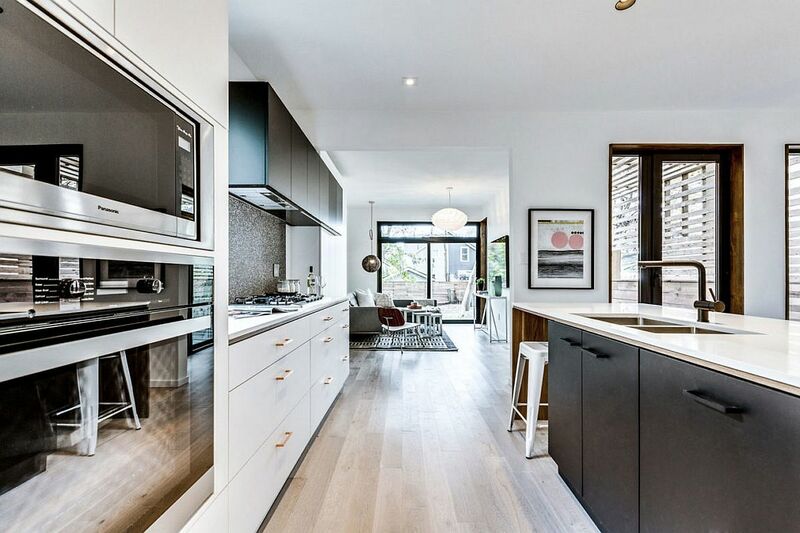 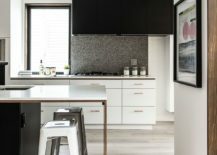 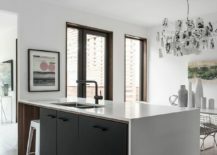 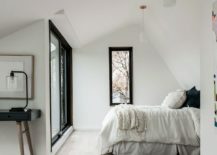 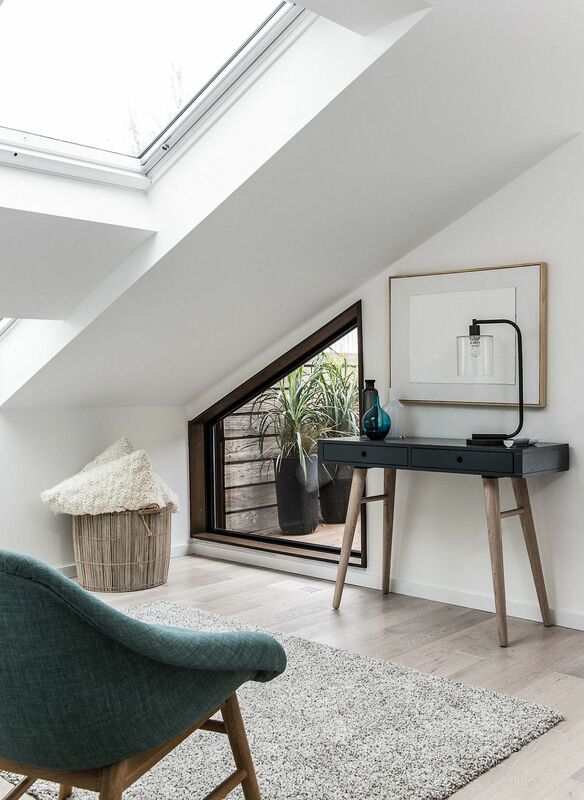 Altering both the visual appeal and functional form of a home that was originally built in 1905, Baukultur/ca turned a seemingly ordinary home in Toronto into a cheerful, bright and inviting modern residence. 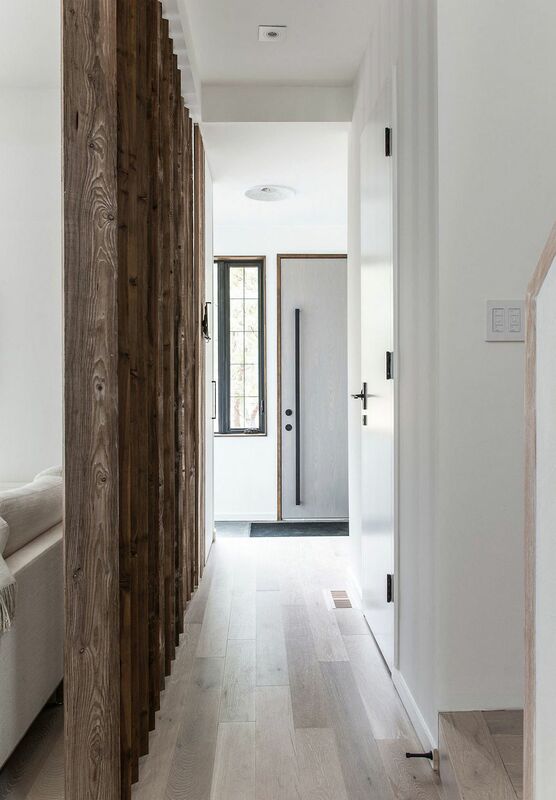 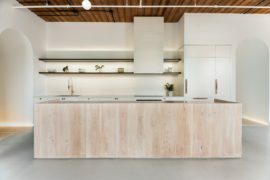 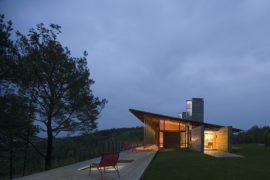 Both the new interior and the exterior rely largely on elegant use of wood and a neutral color palette that employs white in an extensive fashion. 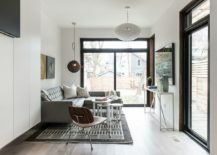 It is the lower level that contains the new living area, kitchen and dining space that tastefully flow into the gorgeous rear deck even as the top floor holds the bedrooms and other private spaces. 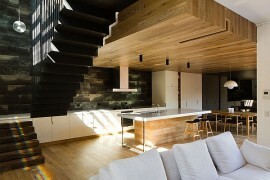 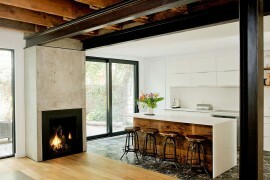 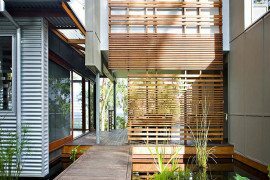 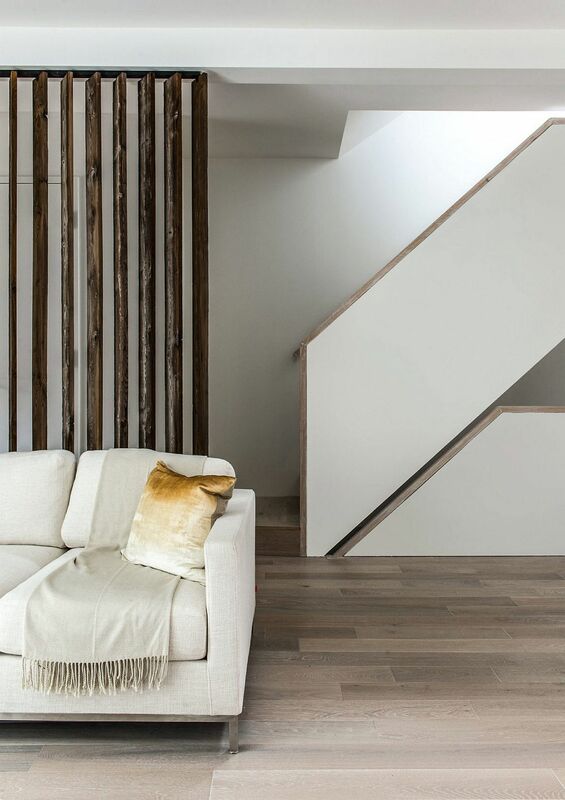 Wooden slats and boards are used through the house to give each section of the interior a cozy visual even while delineating space in an effective manner. 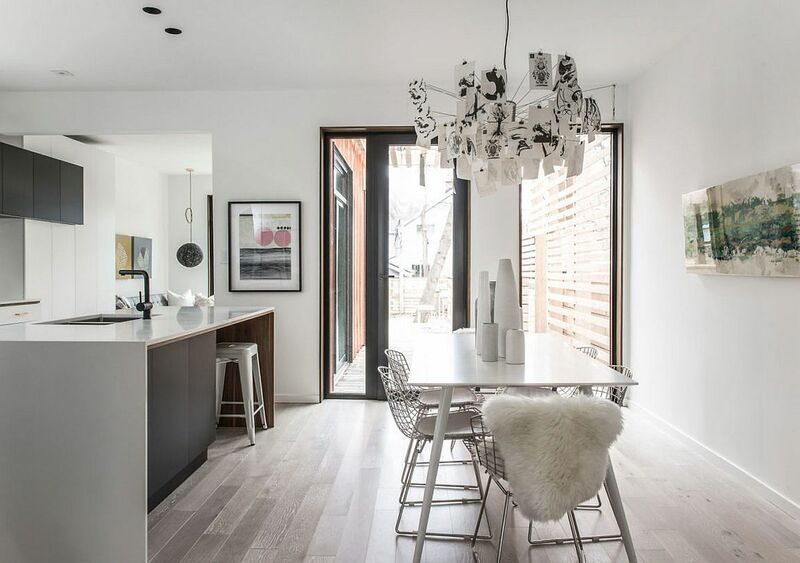 Unlike many other homes where pops of bright color breaks up the monochromatic look, wall art and décor inside this Canadian house also embraces the white, light gray and woodsy theme! 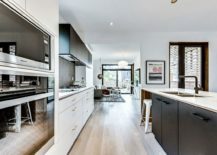 A spacious kitchen with breakfast bar that overlooks the living area becomes the focal point of the new interior that encourages interaction between family members through seamless design. Design of the top level of the residence that combines classic form with modernity and a sense of lightness completes an understated and ingenious makeover which gives a home from early 1900s a new lease of life.